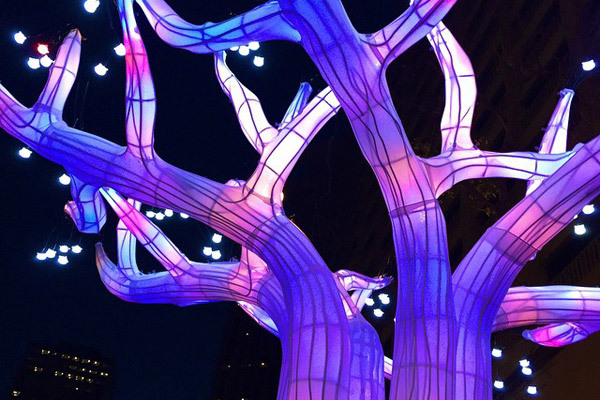 The 2015 Market Street Prototyping Festival was conceived as a radical partnership between the San Francisco Planning Department and Yerba Buena Center for the Arts that aimed to inspire creative citizens of all kinds to contribute their ideas to our changing city. Building on the process for a planned redesign of San Francisco’s Market Street (Better Market Street), we gathered research and cultivated partnerships with nonprofits and community benefit district organizations up and down Market Street. Community: Design with and for community in order to inspire more engaged and activated community life. Capacity: Increase the capacity for design through partnership and resource and expertise sharing. Connection: Include projects that would encourage people to connect and engage with one another. We distributed an open call for ideas to make public life on Market Street better and received nearly 250 project submissions. Through a community and expert jury process we selected 50 winning ideas that ranged from a stage and seating gallery (Show Box); to a six-sided ping pong table (Arena Play); to an interactive sculpture that captures and aggregates people’s thoughts and wishes (Tree of Changes); to a novel public disaster preparedness kit (Neighborhood Preparedness Unit). We curated ten projects into each of the five distinct districts that populate the roughly two miles of Market Street – from the waterfront to the Civic Center – that make up the Better Market Street project area. For each of the five districts – the Embarcadero, the Financial District, the Retail Heart, Central Market, and the Civic Center – we had Design Captains and Community Cohorts to help guide the development of each project. The teams had six months to finalize and fabricate their ideas into phase one prototypes, during which time we also conducted street engagement and community events that offered feedback as the projects were developing. Community Cohort members provided local context, expertise, and relationships and included Business Improvement Districts, neighborhood nonprofits, and long-time residents. Neighborland created online profiles for all of the projects in order to enable community feedback throughout the 6-month design process. Design Captains – The Exploratorium, Studio for Urban Projects, Gensler, Autodesk, California College of the Arts – provided much-needed expertise and access to fabrication space. They also each designed robust keystone projects intended to anchor their district. Additionally, YBCA’s Young Artists at Work program partnered with Youth Arts Exchange, Larkin Street Youth Center, and the Chinese Progressive Association to ensure that the festival included ideas made by and for youth. 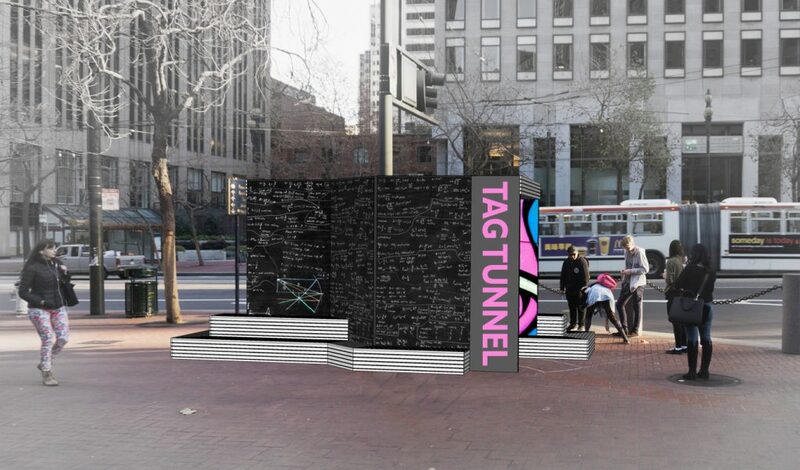 Tag Tunnel, a gallery for youth street art and a forum for sharing ideas, was designed and built by youth to create a safe place for all people to interact and engage with Market Street. 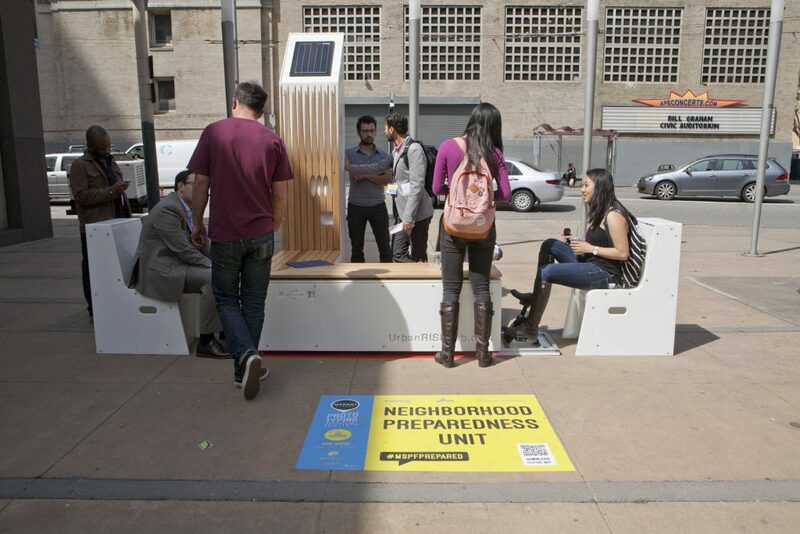 This robust and diverse set of more than fifty prototypes were installed along Market Street for three days in April of 2015 so that the hundreds of thousands of people who use the street could engage and respond to the possibilities for the street life of this long under performing thoroughfare. For these three days, Market Street was utterly alive with joy, inspiration and connection. Participation was overwhelming, basically transforming the public’s relationship to the design of their city, bringing the community engagement process to the streets, and investing in creative citizens and civic innovators in order to imagine a better future together.